Colleton River Plantation, SC, holds the distinction, according to Golf Digest Magazine, of being the #1 two-course private golf club community in one of the finest golf meccas in the world, Hilton Head Island. In their Best in South Carolina Rankings, Colleton River's courses ranked higher than any other two-course private club in the Hilton Head area. The Colleton River Plantation community served as a movie set for the movie The Legend of Bagger Vance, which is not really surprising, considering the community presents as an idyllic setting that is fit to be a movie set. The debut of the community’s Jack Nicklaus signature golf course was hailed by the Golf Digest as the “Best New Course in America.” Not to be left behind, the Peter Dye golf course too has been earning accolades and consistently ranking among “America’s Top 100 Golf Courses” chosen by Golf Week. 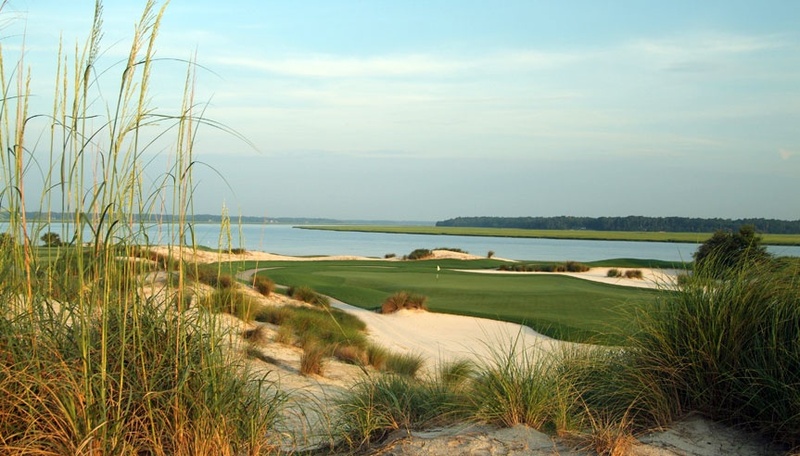 The residents of Colleton River Club can enjoy the unique privilege of playing an award-winning Jack Nicklaus golf course in the morning, while spending their afternoon at the signature Peter Dye golf course. This exceptional golfing experience is something that the members can have as a part of their everyday life! Colleton River spreads across an area of 1,500 acres, which is entered through a sprawling nature preserve of 950 acres. Colleton River is situated just two miles west of Hilton Head Island in Bluffton, South Carolina. The site presents stunning views of the Chechessee and Colleton Rivers, having deep water access to the Atlantic Ocean and the Intracoastal Waterway. A mile long shoreline and about 7.5 miles of salt water marsh frontage mark the Colleton River, which is easily one of the most unspoiled tidal rivers in the Southeast. The community has an eclectic mix of residential properties. It has homes facing natural lagoons that dot the area, waterfront homes that have docks right on the Colleton River’s deep waters, a significant number of homes with salt marsh fronts, and of course, a wide range of golf course properties. Some of the lots and homes even have a majestic and marvellous view out to the Atlantic Ocean. This piece of coastal land is diverse and dramatic, which is a special occurrence in a waterfront locale. Colleton River Plantation possesses some of the most inspired architecture in the Hilton Head area. Each home has been custom designed by a variety of top-notch architects. And the views are hard to beat: River front, creek front, marsh front, lake, lagoon and golf greens and fairways. To learn more about the Colleton River Plantation, South Carolina, click on this link for a FREE download of the e-Book Everything You Ever Wanted to Know about the Private Golf Club Communities. The e-Book will provide you with a comprehensive description of the amenities at Colleton River Plantation, and the various fees associated with living and playing in Colleton River. As a special bonus, you will also receive detailed information about all of the Private Golf Club Communities in the Hilton Head area.